Stefani Prime (Italian) brings Chicago dining; experience to Lincolnwood in a modern and comfortable environment. It offers prime cuts, the freshest seafood, signature Italian dishes and more. 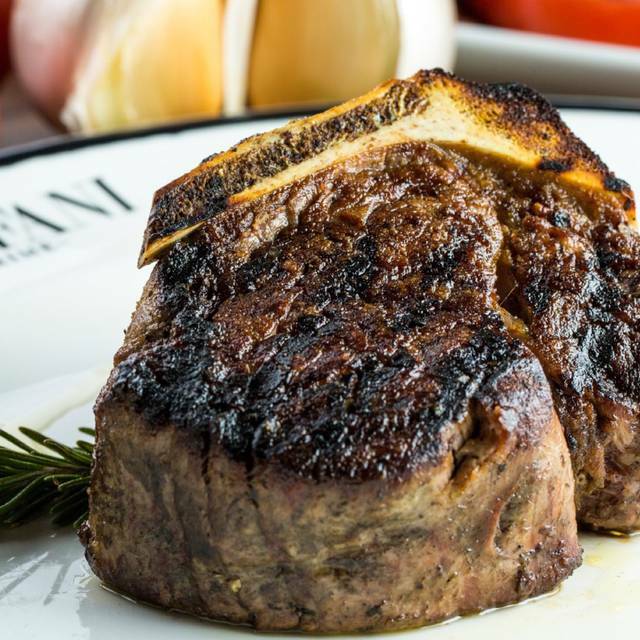 More than just a steakhouse, the name Stefani Prime is a nod to offering the best of everything from premium fare to top notch service. 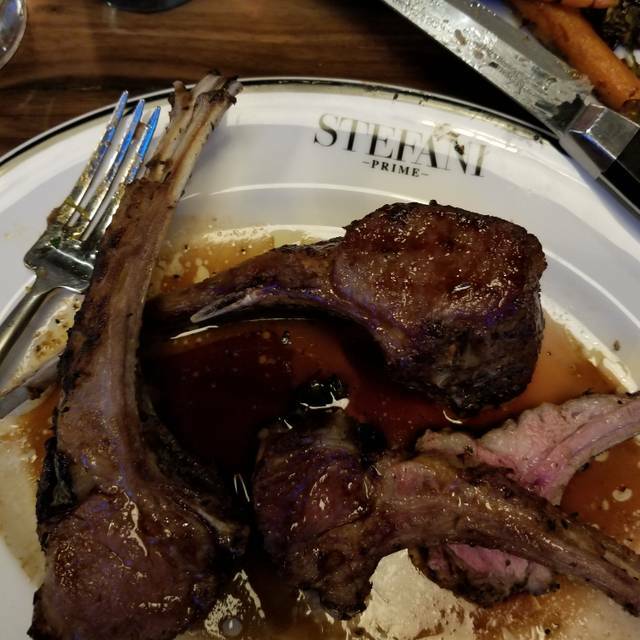 Stefani Prime is a collaborative effort between famed restaurateur Phil Stefani, wife Karen (owner of Inspired Catering & Events), and their children Gina and Anthony, the next generation of the Stefani restaurant group. Right off the Edens expressway, Stefani Prime is the ideal meeting place where the North Shore meets the city with guests enjoying a “city dining” experience without having to battle the downtown traffic and parking challenges. We went to Stefani's Prime on a Tuesday night- Ladies' Night! Lots of fun, happy energy as soon as we walked in. Four of us shared the New York Strip and the filet, with mashed potatoes, brussel sprouts, and the Pasta Del Marre as our sides. Everything was delicious... we especially liked the filet and the potatoes. They do a raffle on Ladies Night, and one of my friends won a $50 gift certificate for wine. So fun!!! All in all, a great restaurant with delicious steaks, a fun vibe, and EXCELLENT service too. We highly recommend. Easter brunch! First time. Absolutely fantastic! Thank you to Carlo C. and all staff. 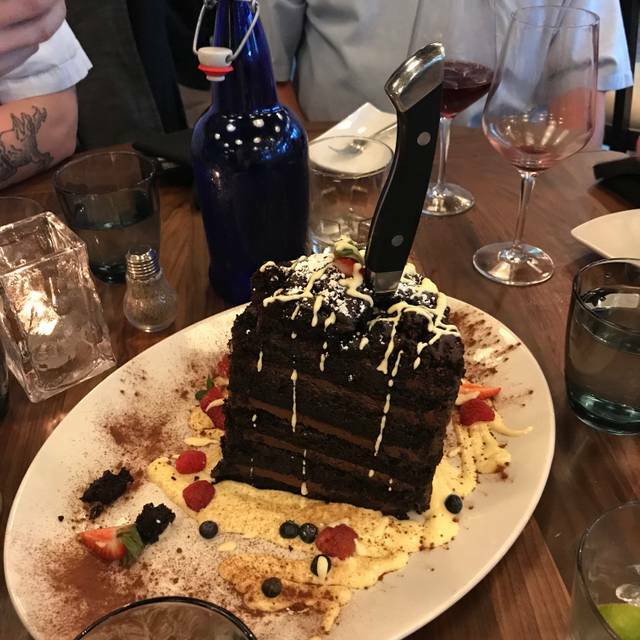 The food and service was fantastic! We will definitely return. Lunch menu was small and somewhat pricey with surprisingly few pasta options...several interesting lunch specials were offered. This was an awesome girls' night out! we shared a big salad, 2 entrees & a side & the huge chocolate cake!! We left with doggie bags in tow & couldnt be happier! The wine list is great & the cocktails are reasonably priced & delicious. Complimentary Valet parking for the WIN! only gave a 4 for service, the waiter was nice when we mentioned it was cold & drafty at our table, he replied the sun was going down so it was colder inside? Didnt really get all that, but we were happy to be out & about & the food & cocktails warmed us up! As always the food was wonderful and the server was very nice and accommodating. Salty risotto. Fish over cooked. Waited for dinner due to kitchen issues so long that we offered to leave. Not impressed. Took forever to get seated for our reservation. Third time there, same issue. Won’t go back. The food was delicious and the service was spectacular. Beautiful restaurant. Noise level was better than most restaurants-easy to talk to friends and every was able to hear each other. Wait staff and bartenders were very friendly and knowledgeable. Looking forward to going back! Mixed on the service as our server was very lively and fun (that's where the 3 stars come in) - we just don't agree with his assertion that he "knows how to pace" our meal (this would have gotten 1 star). Salads were being served as the appetizer plate was being removed and our entrees came immediately after the salads. No time at all in between - we felt rushed. 2 of 3 coffees came cold. We sent them back and they were obviously sent through the microwave. Guess they showed us! Steaks were fine, not really flavorful. Branzino was terribly salty but the potatoes that came with it were delicious. Potatoes au gratin were meh, mashed were ok. Our party of 6 will not be going back. Daniel one of the Bartenders took great care of us. Great place! Service and food quality not on par with many steakhouses in the city, although price is. Great food and service. Our server was Juan. We had a great time celebrating my daughter's birthday. Shrimp Cocktail - Very fresh, nice sized shrimp. The cocktail sauce has horseradish added on top and this was a big plus. Proscuitto/Mozzarella - They have an Italian, hand-cranked machine which generates paper thin slices of absolutely delicious proscuitto. The house made mozzarella is also excellent and comes with a nice sprinkling of sea salts and pepper. The arugula salad is perfectly dressed with a sweet tasting oil/vinegar dressing. Ravioli - also house made and perfectly stuffed with ricotta and delicious, tasty short rib. The bolognese sauce is fantastic. Skirt Steak - The quality of meat is outstanding and we ordered it with a side of chimichurri sauce. Our little guy absolutely loved the frites. 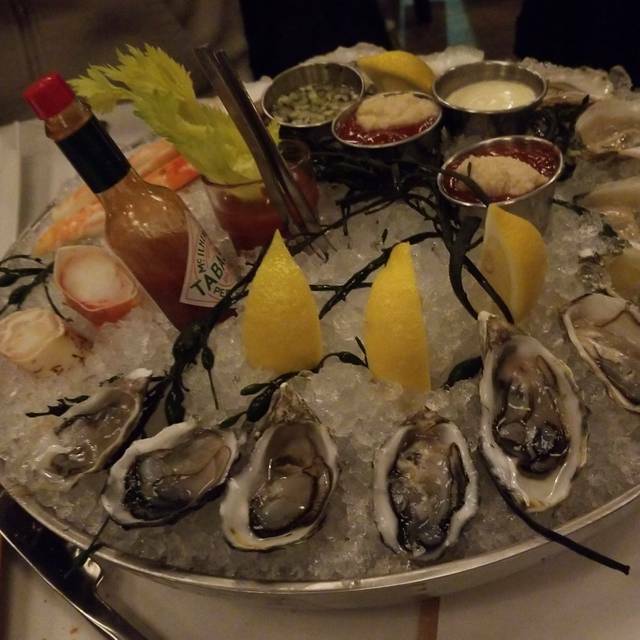 It comes with so many of them that the table was able to share. Prime Tomahawk Ribeye - what an excellent cut of meat that is perfectly marbled and melts in your mouth. We ordered it medium and it came out rare which was no problem at all as our server brought it back quickly after giving it a quick turn under the broiler. We enjoy the martinis and old-fashioneds here and they never disappoint. The best part of this restaurant is the service. You can get quality food in a number of places but we greatly enjoy the high level of service we get here. We've now had dinner here a number of times and has become our go-to place for dinner in the neighborhood. Had a great dinner for our anniversary. Meal was great. I had one issue and they immediately changed it out. Will definitely be back here. Stefani Prime was excellent. Met Phil and his first chef Alex. It was a great celebration for his first year at Prime and his birthday. The entertainment was outstanding. Jimmy O and Rhonda Lee rocked the house. The veal piccatta was a little too salty for me. But the fettuccine was yummy, along with my husband's chicken vesuvio. Juan was a great server and it was ladies night. Fun. Really enjoyed our evening with family young and old! The service was simply amazing. 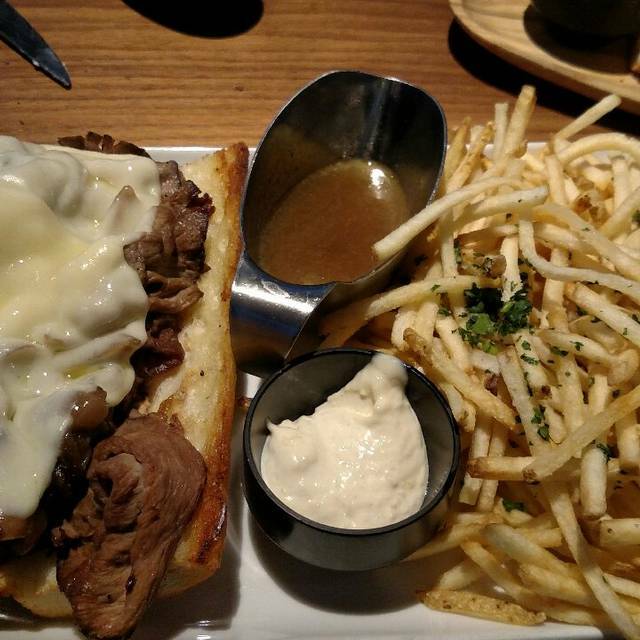 Great food and terrific service. Noisy if the bar is full. I was so disappointed in my food. I ordered shrimp deJohnge and there was not a hint of garlic on it. I asked 2 other people at my table if they tasted garlic, they said no. I think the kitchen made a huge error here I also ordered steak tartar which was ok nothing special, like they use to have at the Brauhaus. The other guests split a ribeye which they liked My husband had the seafood pasta which he said was good flavor but a small amount of seafood We are seniors who don't go out that often so you won't be losing a lot of business when we no longer dine there. however I will tell you Calos on Clark St has better food and of course, better pricing. We live between you and Calos, so our choice, after Sat., would be obvious. Their Shrimp is spectacular and very garlicky! Our waiter was great, valet service also was great. When I called for reservations I said there was 1 person who was handicapped. They sat us in the middle of tables, making it difficult for the handicapped person. Table was small, difficult to reach and exit. Sorry this is not a better review, but if I'm going to pay your prices, I will go downtown, not Lincolnwood. Excellent experience. A little pricey but very good food and service. 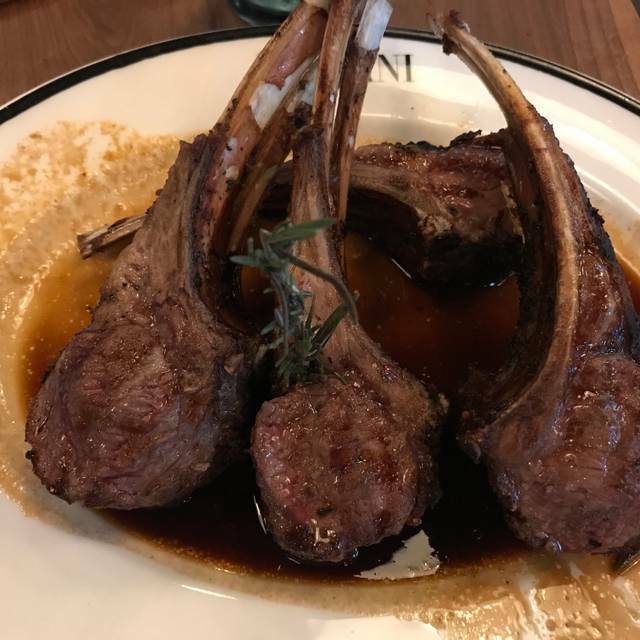 Lamb chops were great! Wonderful experience from the service to the delicious food. Thanks for an amazing evening! Always amazing! Excellent food, excellent service. Love this place! My steak was excellent but the sides and apps were just OK. This area needed a place to go! Our first time here and it was easy to find and great to have valet parking. We were seated immediately and our server was always attentive. We loved the Caprese salad to start. My husband had the veal scaloppine piccata and it was delicious. 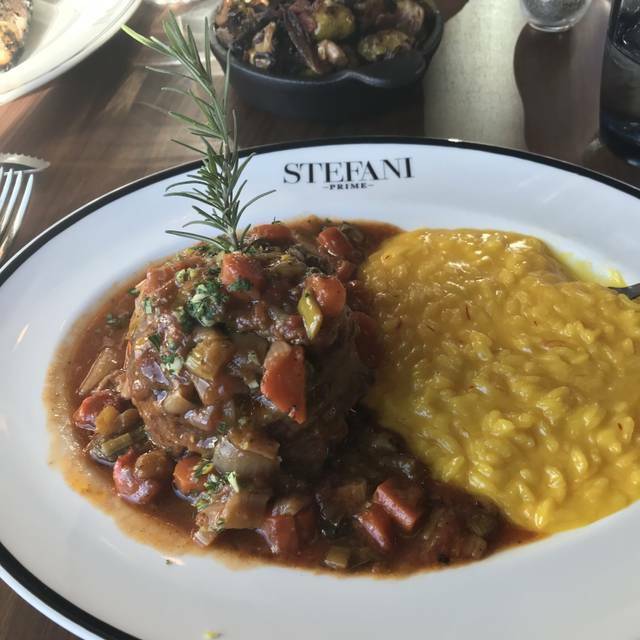 My risotto with veal shank was outstanding....tender meat that fell off the bone was so flavorful and the al dente risotto was a taste sensation. I'm glad I got that since it will be taken off the menu soon in preparation for spring. I received a delicious cheesecake for my birthday! How sweet. I'll definitely come back! The tables were slippery, when I try to cut into my steak the entire plate moves because the surfaces are too slippery. 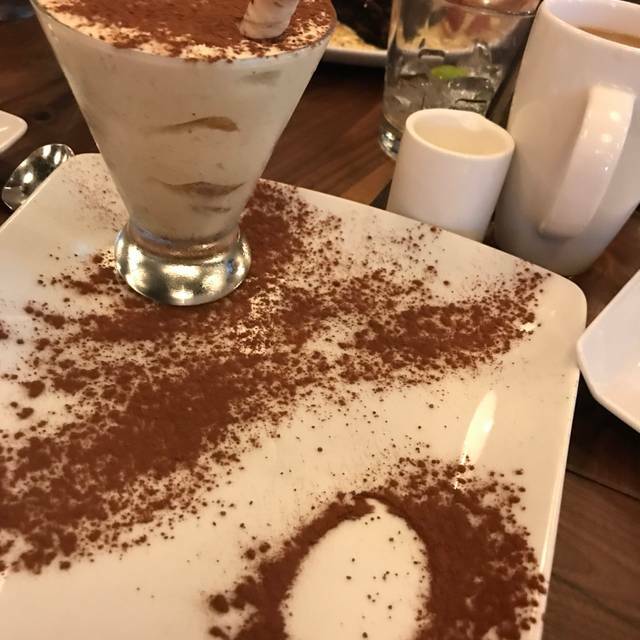 Same thing if a tiramisu is served in a glass on a plate, it will slide around. Some careful thought has to be put into a few things. I was also pouring my own wine and that should not be the case. It was a special anniversary so we planned for a special outing, knowing it would be expensive. Food was excellent. We took another visit for a second chance and we're much pleased and impressed. The corned beef.cabbage was excellent. Our server was pretty bad. She took forever to take our order. Forgot our drinks- twice. Offered fresh cracked pepper for our salads, and then forgot to come back. Not very good service. The food on the other hand was very good. I had the special lobster risotto which was excellent, but came with a pretty steep price tag of $46. 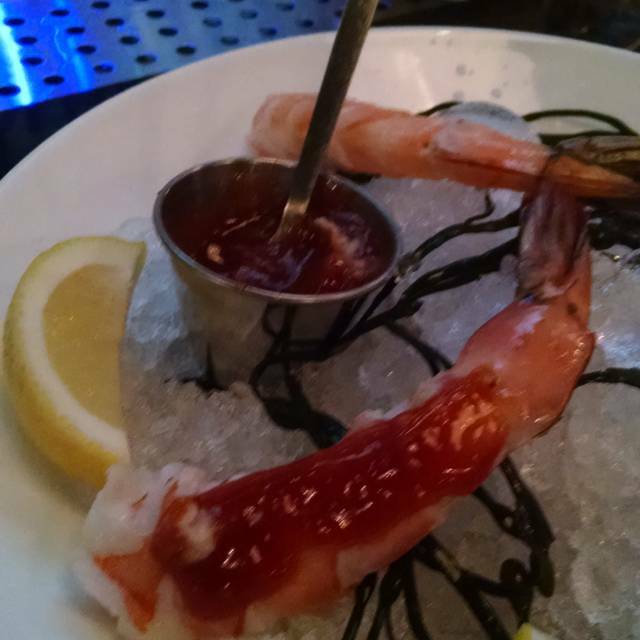 It did have a lobster tail on top but the tail itself was small and the portion size was minimal. We drove from the city to the burbs just to experience the taste sensation from the fettucini. This side of Rome we have never had fettucini as good as this. We sat at the bar and also experienced excellent service from Jimmy the bartender. His 36 years of experience was clearly seen by his level or service. Good food for a neighborhood restaurant. The area needed a decent restaurant that is not a typical 24 hours restaurant. I had requested a nice table location as it was my birthday. They gave us a nice table. Our server Nick was very attentive and helpful. Nice personality. The food was awesome, I had the lamb rack. Best deal in the house. My wife had the petite filet. We also had the broiled oysters, which were very good. The augratin potatoes were a little under done, but tasted great none the less. The asparagus with hollandaise was also very good. The best part were the dirty martinis, their signature cocktail. All in all a very nice evening.